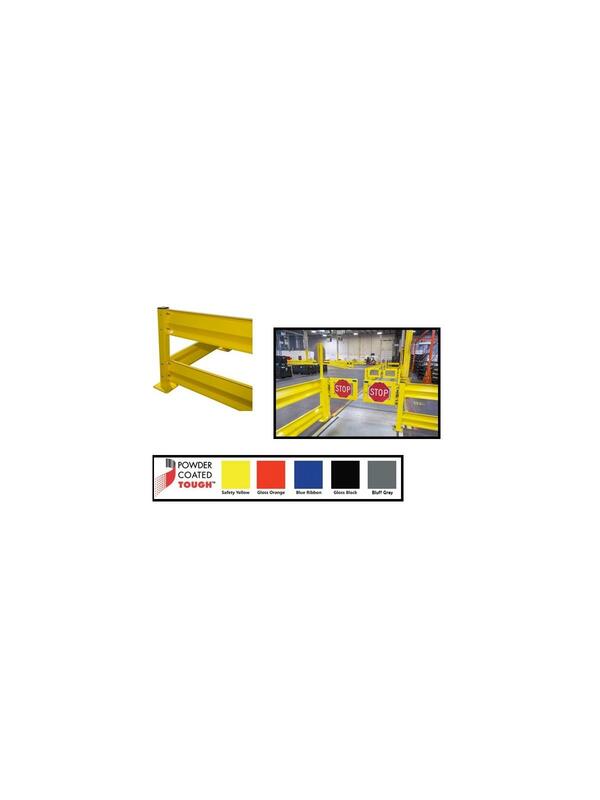 Tuff Guard Safety Railing | Latta Equipment Company, Inc.
Bluff Tuff Guard safety railing greatly improves plant safety and efficiency by reducing costs associated with employee injury, machinery down time and building repairs due to accidental collisions. Tuff Guard is an efficient way of protecting machinery, in-plant offices, personnel, aisle ways, electrical panels, tool cribs, conveyors, shelving, receiving docks, cooling equipment and parking areas. Manufacturing time 5-15 working days, depending on quantity. FOB Shipping Point. 4" x 4" x 3/16" structural steel square tubing posts. Standard post heights: 18", 30", and 42". Safety Yellow powder coat finish is standard, with other colors available upon request: orange, blue, black and gray - specify color in comments section when ordering. Formed 10 gauge steel rails in lengths from 1' to 12'. With proper installation, railing can withstand impacts of up to a 10,000 pound load at 6 mph. 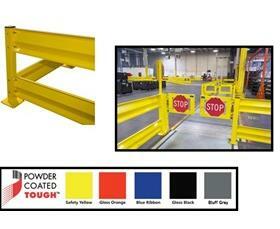 Safety Yellow powder coat finish is standard: orange, blue, black and gray available - no upcharge - specify color in comments section when ordering.